These are two of the original designs for Milton's poem Samson Agonistes, published in February 1980, Medley's only venture in book illustration. 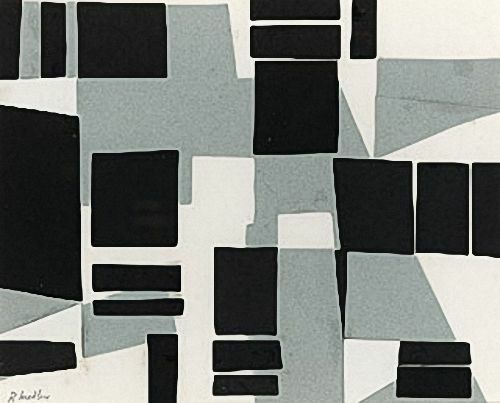 The entire project was under Medley's care and comprised twenty-four full-page colour screenprints, which he developed from his paper collages. Medley considered this project amongst the best work he had ever done. The 150 copies of the screenprint edition sold out almost immediately.